Apple has announced it will resurrect its Tech Talks roadshow later this year, after the annual WWDC 2013 developer conference sold out in a record time on Thursday. The company shifted all 5,000 tickets, which cost a cool $1,599 (UK£1,035, AUD$1,556) a pop, in just two minutes, meaning most of the developers hoping to attend have been left out in the cold. However the company says it'll be bringing the Tech Talks to 'a city near you' this autumn, in order to give developers assistance with the new products they intend to unveil at WWDC. 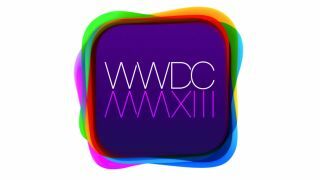 In a statement on the company's developer website, Apple wrote: "Enthusiasm for WWDC 2013 has been incredible, with tickets selling out in record time. For those who can't join us in San Francisco, you can still take advantage of great WWDC content, as we'll be posting videos of all our sessions during the conference. We'll also be hitting the road this fall with Tech Talks in a city near you. Hope to see you there." The Tech Talks last took place when Apple was pushing iOS 5 in 2011. The Next Web points out that those smaller events took place in Berlin, London, Rome, Beijing, Seoul, São Paolo, NYC, Seattle and Austin. At those events, developers were given presentation on iOS 5 and attended lab sessions with engineers in order to address questions and problems. The company is yet to announce the destinations for the 2013 iteration, which will likely centre around iOS 7, expected to be announced at WWDC in June. Last year WWDC tickets sold out in two hours, but this year's rush was prompted by Apple announcing the precise time they'd be going on sale.